The present work, the comparative study of all Sanskrit Grammars to scholars. Grammar composition is a very delicate and difficult task in the sense that it is both a science as well as an art. It is science in the scene that it should be objective, formal and at the same time comprehensive of all the linguistic data. Also it is an art in sense that the skill of framing grammatical rules depends upon the individual grammarian. We can see that the linguistic activity in India, which started from pre-Vedic times and was carried on by the post Vedic grammarians and linguistics like Panini was further carried on even after Panini’s times in spite of the fact that Panini’s grammar was a master-piece in grammar composition and threw back all the pre Paninian grammars into total oblivion. Thus, the whole subject of the coparative study of all Sanskrit grammars with special reference to past passive participles is treated on modern linguistic and not only on pure traditional grammatical leve. This linguistic approach has given out certain interesting and important conclusions. In the present work, the study and comparison in mainly centered round the problem of finding out and comparing the grammatical principles of language-description and the techniques employed by the grammarians to arrive at the formations available in usages. I feel great pleasure to introduce the present work by Prof Dr. M.D. Pandit on the comparative study of all Sanskrit Grammars to scholars. As a matter of fact I am too small a person to introduce the work of Prof. Pandit who needs to introduction. 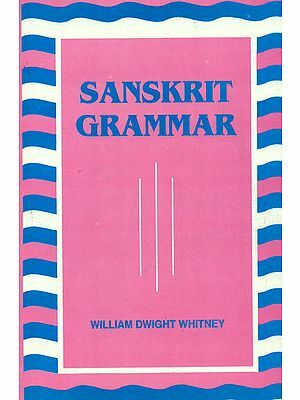 The work is unique of its own kind in the sense that this type of comparative study of the Sanskrit grammars is rare. The treatment given to the subject by Dr. M.D. Pandit is from both grammatical as well as linguistic points of view. 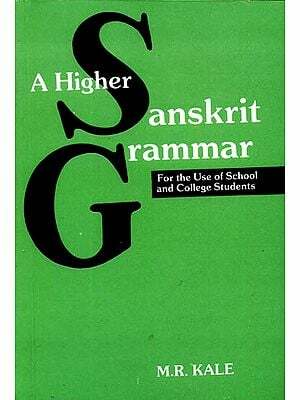 Dr. Pandit has written extensively on Sanskrit grammars. He is a specialist of grammar in general and Sanskrit grammar in particular. He has been writing for the last several years since 1961 when his first article titled ‘Zero in Panini’ was published in the M.S. University in Baroda Journal (Humanities). When a casual discussion with Prof. Pandit I learnt about this work, I requested him to publish the work. He handed over the manuscript of the work to me with pleasure and I am happy that such a learned piece of research of one of the senior-most scholar in the field is seeing the light of the day. There is again an emotional and personal aspect to my respect for Dr. Pandit. Dr. M.D. Pandit happens to be my teacher in linguistics when I was an M.A. student in 1979-80 in the university of Pune. Now a few words on the present work: it is a comparative study of all available grammars, which is recorded by the author himself. The attempt to study all grammars with a vision of comparison seems tough and very difficult; for, such comparative study can be made from the point of view of changes in the formations, if any, in historical perspective tracing such changes from the oldest work to the recent one. In the case of such grammars which are contemporary the changes in the formations can be viewed as dialectal differences of the authors of the grammars, who flourished in different parts of the country. The difference in wording and its order also offers a very fascinating topic for a comparative investigation, revealing the style of the different authors and the change in the syntax of the sutras. The change in the syntax of the sutras, studied geographically and/or historically will give us an idea of the principles of the sutra-system in different times and places. Further, every grammarian and his works can be the a subject of subjected of a critical comparative study, and the findings will be really interesting. In the present works, a Prof. himself writes, the study and comparison is mainly centered round the problem of finding out and comparing the grammatical principles of language-description and the techniques employed by the grammarians to arrive at the formations available in usages. An attempt is made to find out whether these grammars are distinguished from one another and are regarded as representing different schools of grammatical thought only because of the tradition and the difference in the authorship, or whether this is so done on account of the difference in their basic approaches and their grammatical and technical principles of description. The main purpose in investigating and comparing the grammatical and technical principle of these grammas is to find out whether this long stream of grammatical activity in India, spreading over a period of more than two thousand years and thus creating unique and unparalleled record in the field, has followed the same course with the same principle throughout all these years without any basic change or whether it displays at accepted or followed by Panini. To do justice to the problem, Prof. Pandit has selected only one major topic for investigation in the present study, that which deals with the description of the past passive participial formation in Sanskrit; technically called the nistha-prakarana or kradhikarana in grammar. From the point of view of syntax of words in Sanskrit language, the past passive participial formations can be substituted for verbal forms, even though they are what is technically called a the pratipadikas. Though this tendency of using the past passive participles for verbal forms is reflected generally in all Sanskrit works of all the periods, the works like the Pancatantra, the Hiitopadsa etc. appear to be more distinct and largely inclined to use the past passive participles in the place of verbal forms of the corresponding roots. The importance of the past passive participles formations for the valuation and comparison of the styles of authors is, therefore, quite obvious. I am extremely happy to record that Prof. Pandit has very successfully handled such an important topic of grammar with ease and great perfection. I am confident that the present work of Dr. Pandit will be well received, like his other works, equally by the students, teachers and research scholars in the field. I am sure it will certainly occupy an important place, which it rightfully deserves, in the works of research of the first order. Traditionally, the linguistic and grammatical studies in India are taken to begin from the times of the Vedas, The Vedic pada-patha, the pratisakhyas, the Nighantu, the Nirukta and the siksas-all these Literature has done not only the pioneering work but even a detailed study of the phonetics, phonology, accent, semantics and even morphology in some cases of the vedic language. Yet, looking to the variety of the nominal and verbal formations, the taddhita and the krdanta derivatives, the different ways of the declension of nouns and conjugation of verbs, the exactitude of the accent and syntax, the transformational procedures, the generative nature of the Sanskrit language and finally the versification with its rigid rules, the different metres and the accent-rules-all these characteristics of the vedic language show that though the Vedic linguists had done a sufficiently detailed study of the Vedic language, much remained to be done and the task was taken up by the post-Vedic grammarians. The linguistic studies noted above, however, do not deal with the post-Vedic that is, the epic and classical language, though it can be said that the linguistic studies of the Vedas have definitely paved the way for the study of the later post-Vedic epic and classical Sanskrit language. We find that there is a great similarity between the principles of morpheme-segmentation of the padapathakara sakalya and of Panini. So also, the phonetics and phonology of the siksas differ very little from that of the later grammarians. Just as the later post-Vedic linguistic and grammatical studies, pre-suppose the Vedic linguistics, we may venture to conjecture that there is every possibility of some linguistic activity in the pre-Vedic times which might have helped the Vedic scholars and writers. The legends of Indra and Brhaspati referred to by Patanjali in his Mahabhasya or that of gods invoking Indra to analyze the unanalyzed vak in the Tait. Brahmana are instances in this context. That the roots of Vedic linguistics (as are evident from various references to speech-analysis in the samhitas proper, the Brahmanas and the Upanisads) go back to pre-Vedic times is not impossible, because just as the Vedic Sanskrit language, i.e. Old Indo-Aryan, has its history going back to Indo-Eruopean stage, the linguistic studies of the language cannot be the sudden off-shoot of the Vedic and pre-Vedic period alone. They also can be traced back to pre-Vedic times. Even a simple thing as the versification and the metres is an instance in point. We find then the Vedas are nothing but verses in form composed in different metres. Thus, we have in the Veda the following metres chiefly. There is the Gayatri of 24 syllables, the Anustubh of 32 syllables, the Tristubh of 33 syllables, the Pankti of 40 syllables, and Jagati of 48 syllables. Besides we have other verieties of metres, which are of mixed type-of 28 syllables like Usnih, Purusnih and kakubha; of 40 syllables like Sato-Brhati, of 60 syllables like Atisakvari and of 68 syllables like Atyasti. Moreover, we have what are called strophic stanzas like pragatha, Kakubha Pragatha and Barhata Pragatha. The composition of all these different types of metres presupposes a disciplined arrangement of letters by counting the number of syllables in the stanzas. Not only this, the stanza were sung with musical notes which had melody rhythm and music. This again speaks for an advancement and study of music also in pre-Vedic times. This is the case of only a simple think like the Vedic metres. What about all the linguistic studies in and after Vedic times, which show an advanced stage and knowledge in phonetics and phonology? It is, therefore, that all the post-Vedic linguistic studies are the product of only post-Vedic times. We are led to assume a long period even in pre-Vedic times for whatever development and advancement is seen in the Vedic and post Vedic period. It will, therefore, not be an exaggeration to say that the beginning of the linguistic activities of Indian go back even to pre-Vedic times. Unfortunately there is no literature of pre-Vedic times to support our conjecture of the pre-Vedic origin of the Indian linguistic studies and hence we cannot produce a documentary evidence or what the Najyayikas call as the pratyaksa-pramana. But, it should be noted, pratyaksa, pramana is not the only pramanas. There are at least four means of knowledge, viz-pratyaksa, anumana upamana and sabda. And we can conjecture the pre-Vedic beginning of the linguistic studies with the help of common-sense judgement and the anumana pramana. If the Vedic language is what it is with all its richness of vocabulary, veriety of forms, exact syntax, the lofty thoughts, and high philosophy it must have taken a long period to evolve into its present states. Its linguistic studies also must have started and developed along with the development of the Vedic language, though we cannot produce a historical document in the form of writing of the pre-Vedic times to prove our point. The only evidence that we can cite is the mention of the many grammarians before Panini’s times in Panini’s grammar itself. The number of pre-paninian grammarians, according to Yudhisthira Mimamsaka is well nigh 60. This figure speaks for itself. If the line of reasoning given above about the pre-Vedic beginning of linguistic studies is correct, them what follows is that this very activity provided a base-may be rough or sound, scientific or otherwise to the post-Vedic linguistic activity in the form of the padapatha, the Pratisakhyas, the Nighantu, the Nirukta and the Siksas, and later on in the form of the grammars of sixty and odd pre-Paninian grammarians. We can see thus that the linguistic activity in India, which started from pre-Vedic times and was carried on by the post Vedic grammarians and linguistics like Panini was further carried on even after Panini’s times in spite of the fact that Panini’s grammar was a master-piece in grammar composition and threw back all the pre-Paninian grammars into total oblivion. The number of Sanskrit grammars after Panini’s times is eleven. The latest grammar of Saupadma was written in about 1300 A.D-1350 A.D. Besides the activity of proper grammar composition, there have been side-activities like the commentaries, adding supplements etc. to the grammars. The Vartikas of Katyayana are a point in this connection. If all this literature swells into enourmous size. The Indian have thus a very tradition spreading over about 4000-5000 years and a very vast literature running in to thousands of pages on linguistics and grammar. It is this vast size of the linguistic literature and long tradition of linguistics studies in ancient India, which has always attracted the linguists of the world to Indian linguistic, especially the grammatical activity. Grammar-composition is a very delicate and difficult task in the sense that it is both science as well as an art. It is a science in the sense that it should be objective, formal and at the same time comprehensive of all the linguistic data. 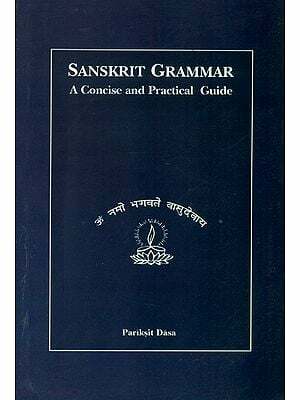 It is an art in the sense that the skill of framing grammatical rules (which are in the form of the sutras in Sanskrit tradition) depends upon the individual grammarian. Panini could achieve this difficult task. After studying Panini’s grammar, therefore, I became very much interested in knowing how the post-grammarians have done. It is this curiosity which led me to make a comparative study of all the Sanskrit grammars. I therefore, started working on this topic in 1964 and finished the spade work by about December of the same year. When I joined the Centre of Advanced study in Sanskrit in 1965, I showed the work done to the late Dr. R.N. Dandekar, the then Director who was very happy to see it and suggested me to work on comparative study of the grammars for my PhD. Degree. He also agreed to my request to become my guide. Thus started the work on the comparative study of all Sanskrit grammars. The subject was very vast. I, therefore, delimited the scope of the work to only the past passive participal formations and their treatment in all the grammars. I was awarded the Ph.D. degree for the work in 1972. The present monography, though based on my Ph.D. thesis, is however not identical with the thesis. Nay, it cannot be identical if one wants to keep pace with growing research in the field. The thesis was written between 1965 and 1970; i.e. about 35-40 years ago. And since then much water has flown down through the Ganges. If, therefore, one wants to be up-to-date, one has to make the necessary changes in the writings of about 35 years back. And accordingly, I have imporved on the original a lot. Thus, there are additions of some more data; many of the highly technical details, which are required in the thesis but are not necessary in a readable book like this are dropped out; much of the text of the original Ph.D. thesis is newly drafted to suit to the demands of serious scholars. And thus the whole subject of the comparative study of all Sanskrit grammars with special reference to past passive participles is treated on modern linguistic and not only on pure traditional grammatical level. This linguistic approach has given out certain interesting and important conclusions. A word about my teachers. I was very fortunate to have learned persons as my teachers in my life. the first teacher I got was my father himself, the late Deokrishna Keshava Pandit. Himself a Vyakaranacarya, he got the whole Siddhanta Kaumudi memorized by me by the age of 12 itself. The next stalwarts in the field of Sanskrit, linguistic and Indological studies whom I got as my teachers and guides were the late Dr. S.S. Bhawe, the late Dr. N.G. Kalelkar, the late Dr. D.D. mahulkar, Dr. S.M. Katre of the Deccan College Post-Graduate and Research Institute, Pune and lastly the renowned ideologist and Sanskritist, the late Dr. R.N. Dandekar of the Bhandarkar Oriental Research Institute, Pune. I am really deeply indebted to all these scholars for imparting highest training in the field of Sanskrit, Linguistics and Sanskrit Linguistics. Actually I was very much reluctant to publish my thesis. But Dr. B.K. Dalai, the Director of the Centre of Advanced study in Sanskrit, University of Pune, however, was very much enthusiastic in seeing my thesis through printed form. I then finally submitted to Dr. B.K. Dalai’s earnest request and agreed with him. I therefore, thank very sincerely Dr. B.K. Dalai for the interest he has taken in my work. My thanks are also due to the students who prepared the subject-inde, the index of past passive particles discussed in the book and the bibliography. Last but not the least, the publisher, Bharatiya Kala Prakashan deserves my sincere most thanks for the speedy and neat printing. But for their interest in pure academic and technical work like the present one, the work would have seen the light of the day.